Yours truly, winter 2014. I'm a PhD student with the Programming Languages Lab at UCSB, under Ben Hardekopf. 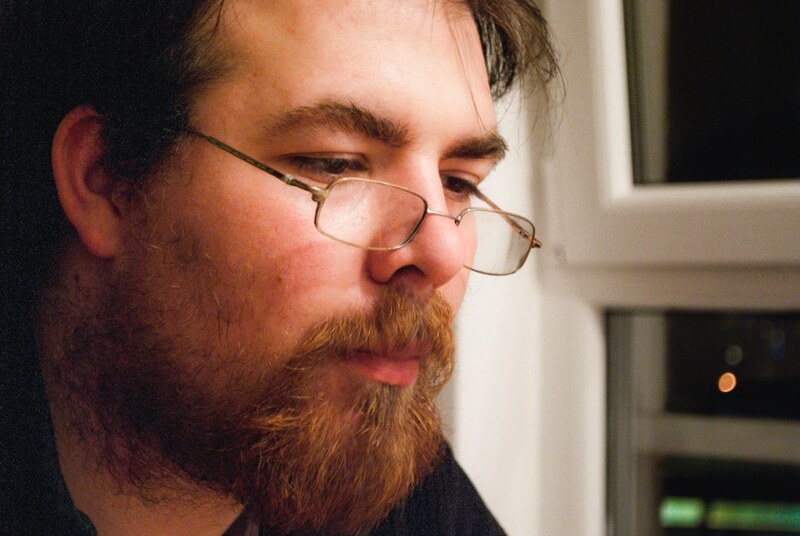 I was born in Kikinda, Serbia in 1987, and have completed my Bachelor's Degree in Computer Science at the Faculty of Sciences, University of Novi Sad, Serbia in 2010. I've been working as a web, game and software developer since, until my eventual arrival at UCSB in 2015. During my first year here, I've been a member of Tevfik Bultan's Verification Lab, working on the problem of automatic side-channel discovery in various Java applications. My area is mostly to do with fuzzing and, more closely, methods of comparing fuzzers. This question deserves more attention. I'm interested in exploring invariant-driven programming, in connection with isomorphism-based languages. I'm always open to talking about these topics and more! In my free time, I enjoy reading (and listening to audiobooks; just finished Echopraxia, by Peter Watts), playing games (currently slowly exploring Hollow Knight ),	My steam profile and assembling and painting Gundam models! I've last listened to "" by off the album . In proceedings to the 26th ACM Joint European Software Engineering Conference and Symposium on the Foundations of Software Engineering (ESEC/FSE 2018).